Our team members really are the heart and soul of our communities and we appreciate them every day. We appreciate them so much that we even made up a day in their honor and once again this year, we set aside that day just to show them some extra love. 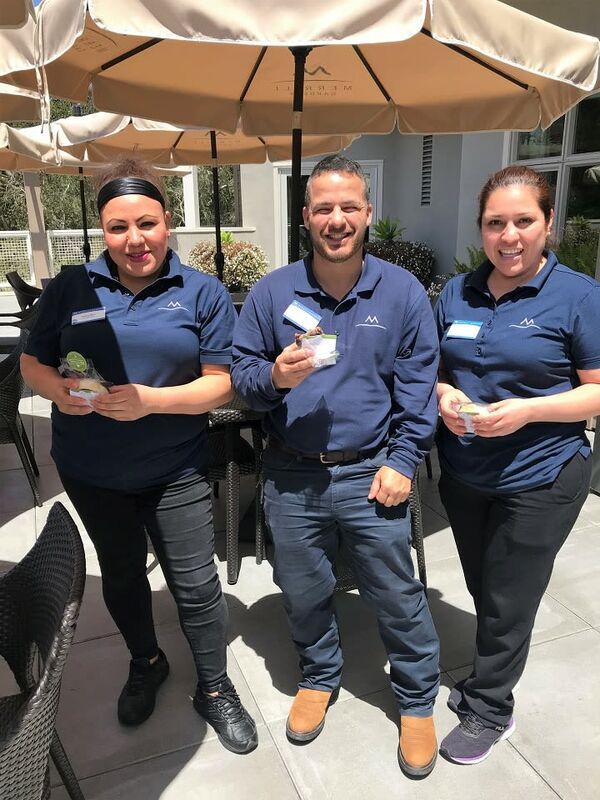 We surprised team members at each of our communities with ice cream treats on our third annual Thinking of You Day event. 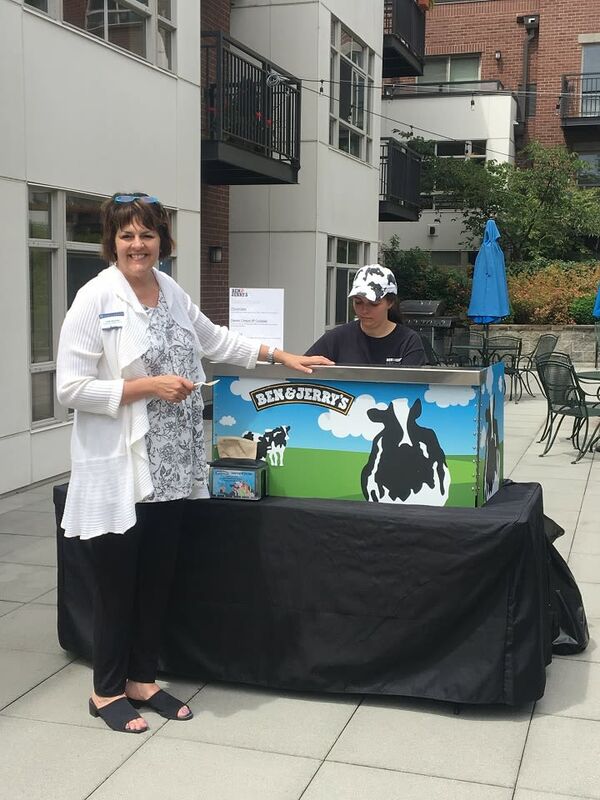 Here is Community Relations Director, Leslie Reynolds at The University in Seattle! 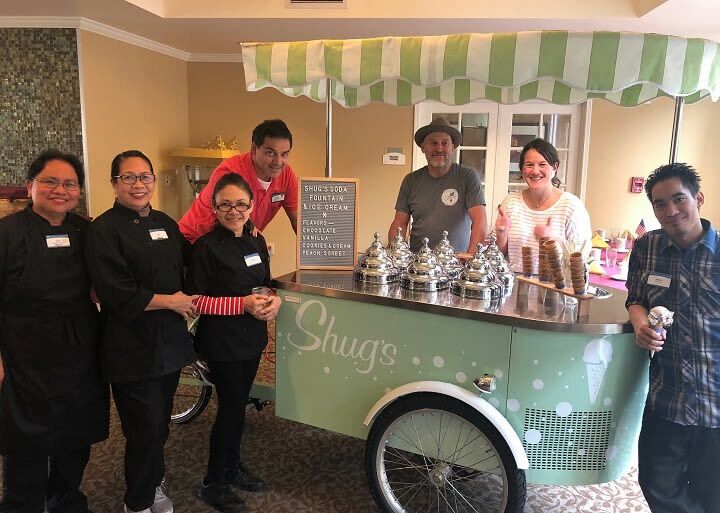 This year we sent out local ice cream trucks to each of our 30 communities to treat our team members and residents to dessert. The trucks arrived at each community at the same time so everyone could celebrate together across the country. 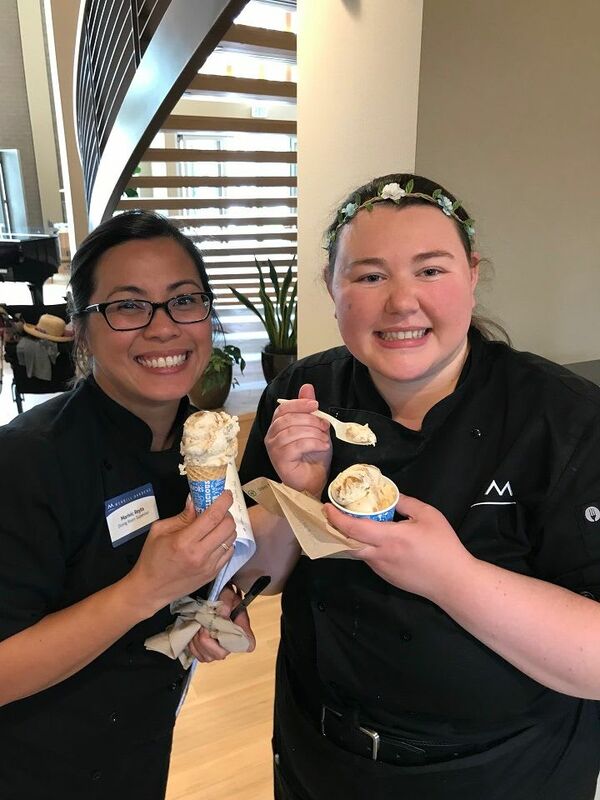 Everyone at the communities was invited to take a break and visit with each other while they enjoyed an ice cream treat.The dining team at Ballard in Seattle had a fun time chatting over a Ben & Jerry’s ice cream cone! 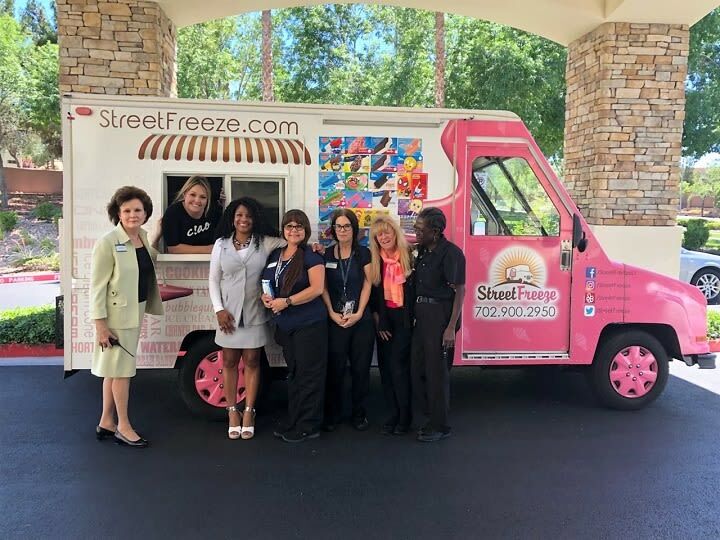 Team members at Green Valley Ranch in Henderson, NV were excited to have a treat from a local ice cream truck and visit with residents. 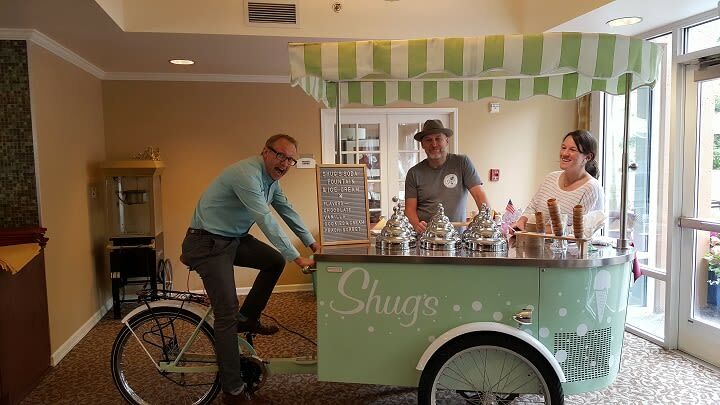 General Manager, James Culmore at First Hill in Seattle, riding the local Shug’s Soda Fountain & Ice Cream bike. 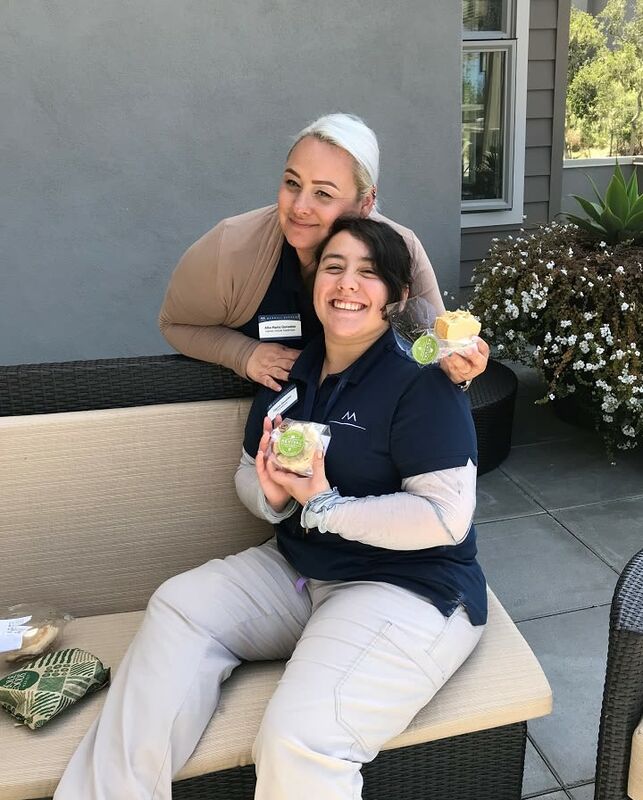 It was another beautiful day at our community in Monterey, CA! 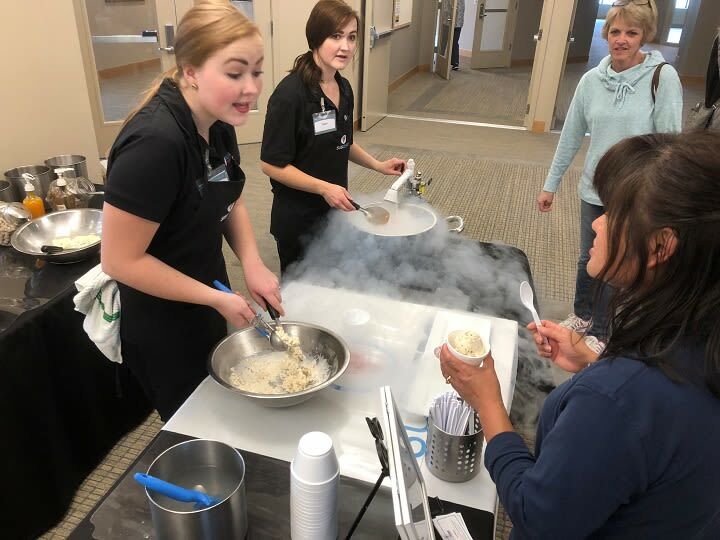 The team at Merrill Gardens at Auburn watch as Sub Zero ice cream mixes up an ice cream concoction. Thinking of You Day may only be one day of the year, but we recognize our team members’ great work every day. 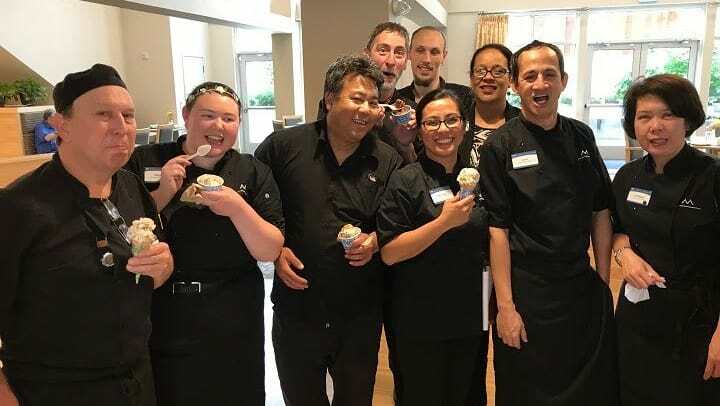 We appreciate all that they do at our communities and the kindness they share with residents!